Martha's owner Helene Finley feeds Martha Alphabet Soup. That simple meal gives Martha the gift of speech and from then on, Martha Speaks! Martha is a strong minded mutt and is willing to giver her opinion on everything. One of my favorite Martha quotes is "Mom said that fruitcake you sent wasn't fit for a dog. But I thought it was delicious." And Martha continues to speak and speak. Until one day she is told by her family how sorry that they are that she learned to talk. You can imagine how hurt Martha's feelings are. Don't worry, the situation will be resolved. But you will have to read Martha Speaks to find out how. I hope you enjoy this book as much as I do! Martha speaks is by Susan Meddaugh. Getting A Dog Ready For The Show Ring? Then Positive Training for Show Dogs: Building a Relationship for Success by Vicki Ronchette, CPDT is for you! This wonderful little book is packed with information that is valuable no matter what sport your dog participates in. It is loaded with pictures and explains clicker training in an easy to understand manner that will benefit you in all activities that you do with your dog. When my neighbors got their new Beagle puppy Baxter, this is the book that I loaned to them to get them started on the right paw for puppy kindergarten. I first met Vicki at the Del Valle Kennel Club Dog Show in Pleasanton in October 2007. She was our "neighbor" booth. Over the four days I had the chance to observe Vicki with her dogs as well as her client's and I was impressed. We are hoping to have Vicki come to Orange County and do a Clicker Class for Conformation. If you are interested, please let me know so that I can keep you on the list, since class size will be limited. by Cheryl Schwartz belongs in every pet lovers library. Cheryl Schwartz, DVM has been a natural and holistic Veterinarian for over 20 years. This book is written in an organized fashion. She discusses Traditional Chinese Medicine, Acupuncture, Acupressure, as well as proper Nutrition. 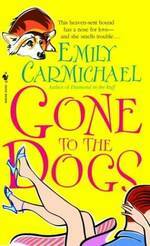 I think that dog owners with different levels of experience will benefit from this book. It is one that I refer to often. 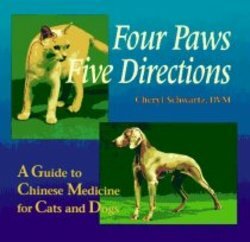 Four Paws Five Directions is reasonably priced, easy to follow, has lots of pictures and is over 400 pages. Dear Mrs. LaRue . . . This Children's Book is perfect for Obedience Trainers and Dog Lovers of all ages. 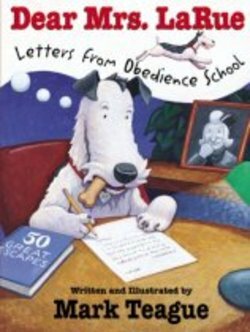 Dear Mrs. LaRue is a collection of guilt inducing letters written by Ike LaRue a cat chasing, chicken pie eating dog who has been sent to the Igor Brotweiler Canine Academy. From Ike's first letter home he pleads "How could you do this to me? This is a PRISON, not a school! You should see the other dogs. They are BAD DOGS, Mrs. LaRue! I do not fit in." The story follows through with his eventual plans to escape. Without doubt you will fall in love with rambuctious Ike LaRue. For more on Dear Mrs. LaRue. Or do you want to get a jump of Dog Wellness Weekend? Then this book is for you! 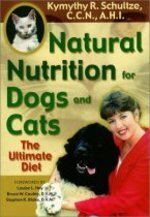 Natural Nutrition For Dogs and Cats by Kymythy Schultze is the perfect place to get started. I had the good fortune of attending a seminar presented by Kymythy over 12 years ago and my dogs have never been fed the same since. This book is the perfect primer for starting a raw diet. Simply written, you will quickly begin to understand the feeding of Biologically Appropriate Raw Foods. Although it only exists in Cyberspace, it is a very real store to me. I am very excited to be able to share my passion of all types of canine books with you! Ordering from Best of Read is just the same as ordering from Amazon. The only difference is that I get a tiny commission for each sale. I have enjoyed selecting my favorite books to share with you. I hope you enjoy the characters inside! Here is the link to Best Of Read. 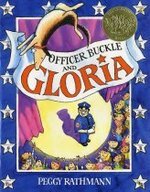 Officer Buckle and Gloria is a charming book that I hope you will take the time to check out. Gloria is a German Shepherd Dog and assists Officer Buckle in teaching school children safety tips. Gloria is a very enterprising and begins to improvise on her own performing behind Officer Buckle's back. The school children love Gloria and school safety has never been at a higher level. Unfortunately Officer Buckle's feelings are hurt by Gloria's popularity. You will have to read this book to find out how their relationship is resolved. This book is a winner of the Caldecott Medal. Take me to Officer Buckle and Gloria. "Canine Massage - Taking The Mystery Out Of Massaging Your Dog"
After Pickles was diagnosed with back pain, I dug out this wonderful book written by Natalie Winter. This is a step by step guide to massaging your dog. Easy to read, this book also opens and lays flat so that it is easy to follow the steps necessary for giving a proper massage. Pickles loves it and I am really sorry that I did not start this sooner. Natalie is an avid agility competitor and offers advice suitable for the Prince/Princess of the House as well as the canine competitor. 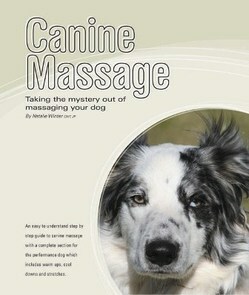 You can order this book by contacting Natalie at http://www.caninebodyworks.com/book.htm. Be sure to tell her that Pickles sent you!